My second MudRun: Channeling Zack Mayo and...Sergeant Foley - Colette Freedman is a top Hollywood Script Doctor who has also ghost written several novels. Look, I have a very healthy imagination. And being slightly injured on my second 10k Mud Run, my imagination served me well. 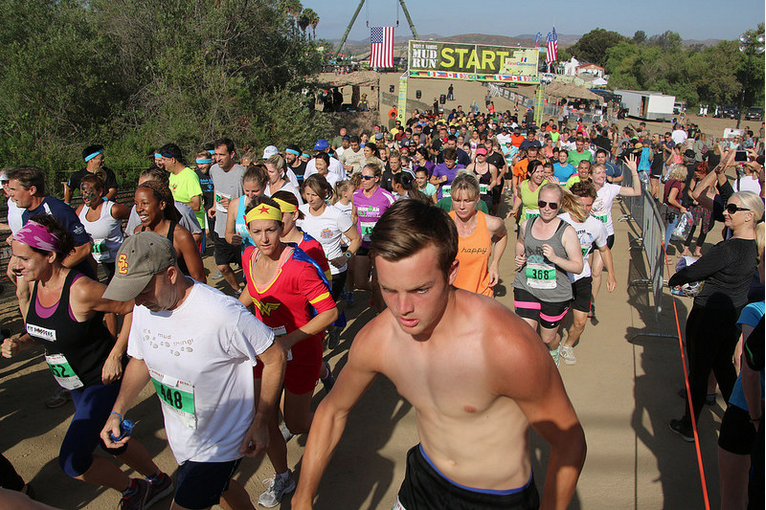 The race was at Camp Pendelton’s Marine Corps Base and I had an entire military movie montage playing in my head. When I wanted to give up climbing up the steep half mile slippery mud mountain, I pretended I was Mayo in an Officer and a Gentleman and Louis Gossett Jr. was egging me on. As I crawled headfirst through mud under a mesh cargo net, I pretended I was Judy Benjamin and Eileen Brennan was egging me on. As I climbed over a ten foot wall and dropped into a muddy sludge pit, I pretended I was Maverick and Tom Skerritt was egging me on. Notice the constant theme? A) I always made myself the anti-hero and B) I was always egged on. Motivation comes from a myriad of places and I’ve always been someone who needed a coach, a badass, a motivator to push me to my limit. 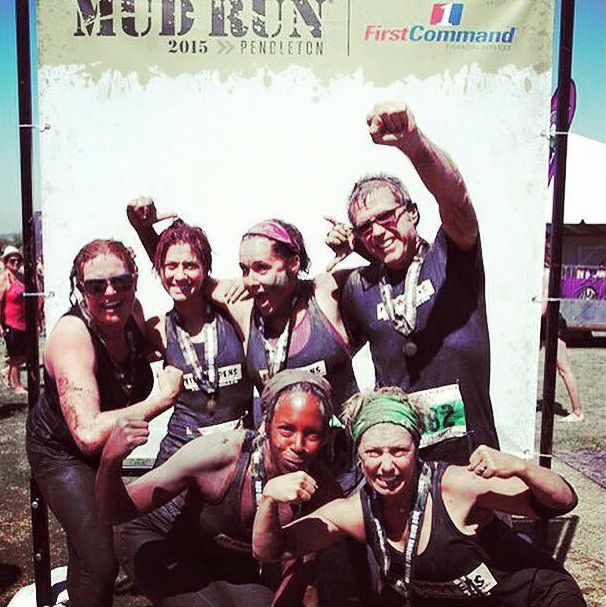 But doing these 10k obstacle mudruns has been motivation in itself. 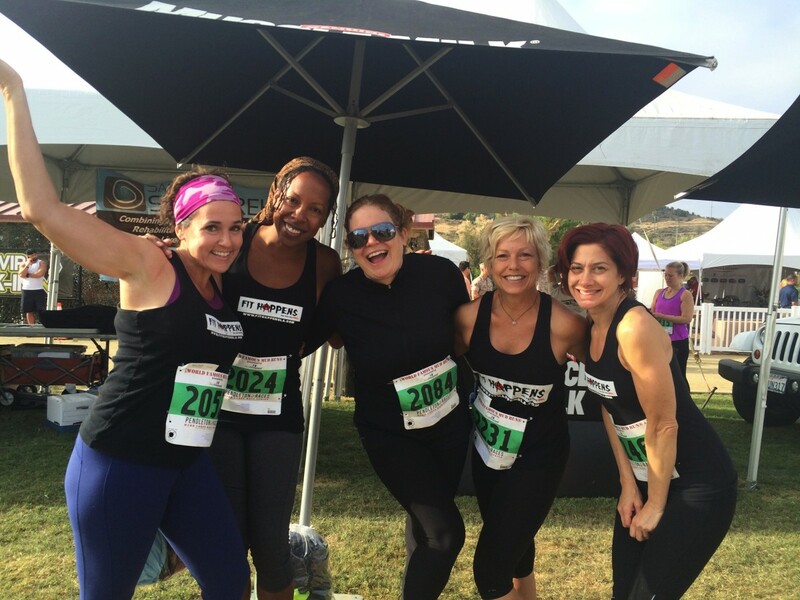 And I don’t do it for the tee shirt, which is super cute, or the free beer, which is super refreshing, or the camaraderie of amazing friends and fellow athletes, which is super fun….unless you get stuck in Tustin…I do it to challenge myself. And whenever I cross the finish line and have the dime store medal hung around my neck, I feel an enormous sense of pride, of accomplishment, of strength. Because, I’ve finally figured out that I’m both Maverick and Viper. I’m both Private Judy Benjamin and Captain Doreen Lewis. I’m both Zack Mayo and Sergeant Foley. There’s a coach and a player in all of us, and sometimes it takes an obstacle course to discover the deliciously dysfunctional marriage.